From The Work at Home Woman, March 23, 2015. Tell us a little bit about your ghostwriting journey. My path to becoming a ghostwriter was anything but typical. In college, I trained as an actress, learning how to interpret and become a character, and as a writer, learning how to tell a character’s story in a way that induces empathy and understanding. After two years of performing on stage and publishing—including an internship at LA Parentmagazine—I dove headfirst into software marketing at a Big Five consulting firm. While there, I was responsible for writing in-depth sales proposals and other correspondence, all that required adapting and communicating in the voice of a particular individual—including one of six sales reps or one of a dozen senior partners. That experience helped me build my skills, and it led me into a career in creative marketing, first at Manugistics (which was acquired by JDA) and then at E-Z Data (which was acquired by Ebix). As my colleagues moved on following each acquisition, many started their own companies and came to me for marketing expertise and ghostwriting services. As well, my many financial advisor clients at E-Z Data had come to respect my writing skills, and they also came to me for help. Five years ago, I started working almost exclusively as a ghostwriter for advisors. My ghostwritten articles have appeared in more than a dozen major industry publications, including Financial Advisor, Private Wealth, Financial Planning,Journal of Financial Planning, and Trusts & Estates. I also write regular blogs for more than a dozen financial services clients. My writing training is certainly a key to my success, but I also find that my acting training has given me the ability to write in the specific voice of each client—just as I speak in the voice of a specific character when I’m performing. Of course, my background in financial services is also important; I would not be able to research and write in-depth financial content without a strong understanding of industry terms, strategies, and market nuances. Is it difficult for you to market your business since your works are not published under your name? I actually find that it’s easier to market my work because my work isn’t published under my name. Word of mouth and relationships drive the financial services industry. 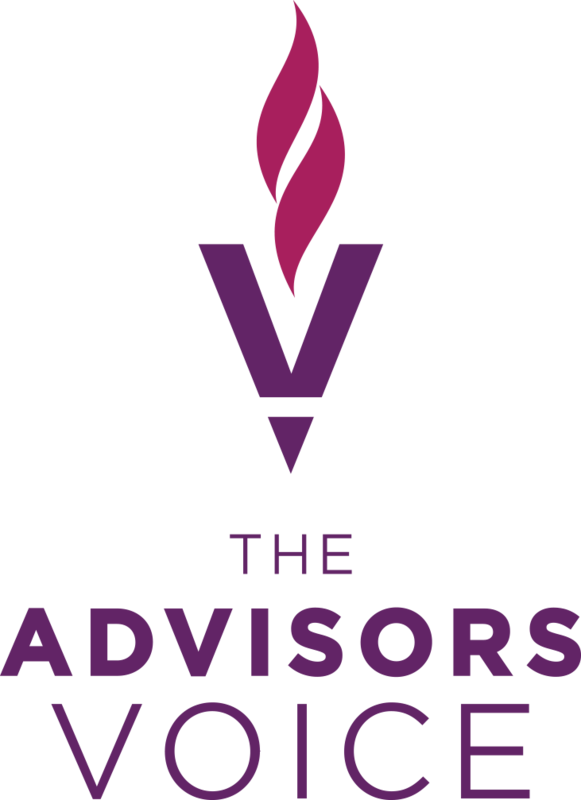 I’ve built a reputation for discretion, collaboration, and quality work, so advisors come to me knowing I can both deliver the content they’re seeking, and keep our working relationship in confidence. As a ghostwriter, this combination is vital. When I was still working in my corporate position at E-Z Data, I wrote many industry presentations, client profiles, press releases, and ghostwritten articles for our clients. After I was laid off following the company’s acquisition, two clients sought me out directly asking for help. I realized I had a specific skill set to offer this niche, and I began marketing myself in earnest. How are you currently growing your ghostwriting business? Much of my business comes to me via referrals, though I do market actively on LinkedIn by reaching out directly to advisors who fit my client profile. By ensuring my LinkedIn profile is highly searchable and includes a large number of client recommendations, I also receive unsolicited business through LinkedIn searches. While I know I should have a website (and I even have the domain name reserved and ready to use, and almost all the copy is drafted), I suffer from the “shoemaker’s children syndrome,” neglecting writing my own website while I’m busy providing the content for dozens of websites for my clients every year. How much does your business earn annually? My income varies considerably year over year depending on the number of clients I have at any given moment. I take advantage of the flexibility of the business to travel, and as an actress, I take on fewer clients when I’m performing. As a result, my writing income ranges from as little as $40K to as much as $150K each year. What advice do you have for other women who want to start their own ghostwriting business? I believe women in general are more in tune with others—including how they communicate and their personal style. This gives us considerable strength as ghostwriters, where a large part of the job is matching the “voice” of the client with the content you deliver. If you have a specific niche of knowledge (mine is financial services, but there are a million options out there) and see a need for content creation in that area, I recommend honing in on one specialty rather than trying to serve too many markets. In doing so, you can increase the value you bring to every client relationship and, ultimately, earn your place in the industry as a thought leader—even when your thinking is delivered under someone else’s byline. Also, remember that ghostwriting isn’t limited to published articles. The need for blog content is growing every day. Busy professionals understand the need to deliver this content, but few have the time to write their own blogs (and very few do!). Seek out successful experts who need your help and market your blog writing services to help them become true thought leaders.